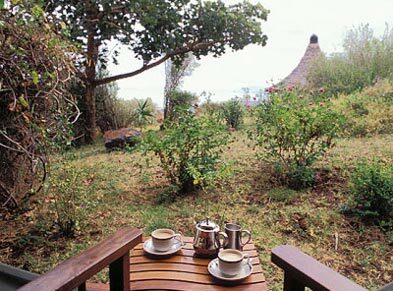 Standing high on the bluff of a dramatic ochre and terracotta streaked cliff above the flamingo-frosted expanse of Lake Manyara�s gleaming alkaline waters, the Lodge commands panoramic views across the volcano-studded floor of the Great Rift Valley. 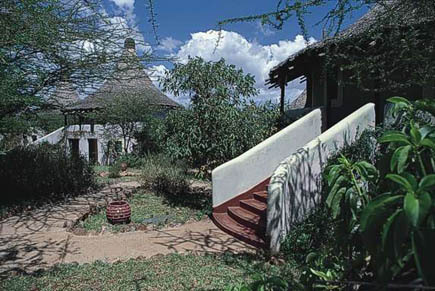 Designed to reflect the brilliance of Lake Manyara�s unique birdlife, the Lodge draws on an inspirational architectural motif that melds swooping avian curves with the gentle concentric patterns of traditional Maasai �Bomas� (encampments) whilst the vibrantly coloured frescoes lining the walls are designed to depict the colourful intricacy of bird migratory patterns. 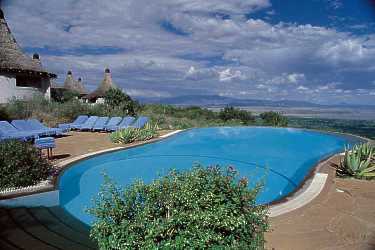 Easily the most dramatic of all the swimming pools in the Serena Group�s stable, the Lake Manyara Pool, which has received significant architectural acclaim, lies below the lodge, on the very edge of the escarpment with mesmeric views across the still waters of the lake and the age-old majesty of the Great Rift Valley. - The �Serena Active� selection of high-action adventure activities. 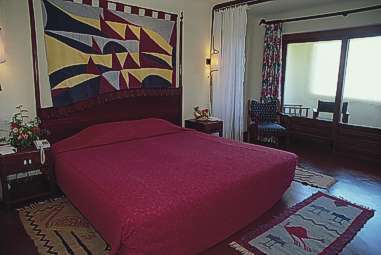 - Full housekeeping services (laundry, valet, babysitting on request, children�s menus and dining, and shoeshine) plus telephones in each room, and centralised safe boxes.